Understanding the relationship between energy balance and obesity is essential to develop effective prevention programmes and policies. 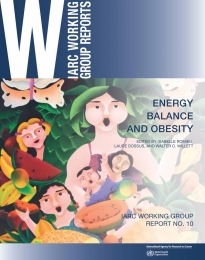 The International Agency for Research on Cancer convened a Working Group of world-leading experts in December 2015 to review the evidence regarding energy balance and obesity, with a focus on low- and middle-income countries, and to consider the following scientific questions: (i) Are the drivers of the obesity epidemic related only to energy excess and/or do specific foods or nutrients play a major role in this epidemic? (ii) What are the factors that modulate these associations? (iii) Which types of data and/or studies will further improve our understanding? This book provides summaries of the evidence from the literature as well as the Working Group’s conclusions and recommendations to tackle the global epidemic of obesity. Chapter 3. Can energy intake and expenditure (energy balance) be measured accurately in epidemiological studies? Is this important? Chapter 4. How are components of dietary intake, dietary composition, foods, and nutrients related to obesity and weight gain? Chapter 5. How are overall energy intake and expenditure related to obesity? Chapter 7. What existing epidemiological data could serve to better understand the relationship of energy intake and expenditure to obesity and the obesity epidemic? Chapter 13. What steps should be recommended and implemented to prevent and control the obesity epidemic? Chapter 14. Which new data are needed to explore the relationships of diet and dietary patterns to obesity and weight gain?